A Downing Street source said "in common with the rest of government we have stood down our no-deal operational planning with immediate effect”. The news triggered an angry reaction from Brexiteers, with Tory MP Crispin Blunt describing it as a “confidence matter if true”, implying it could trigger the fall of Theresa May’s Government. Mr Blunt tweeted: “This would be a confidence matter for me if true. @Commons Foreign 12 March 2017 unanimously called this a dereliction of duty. 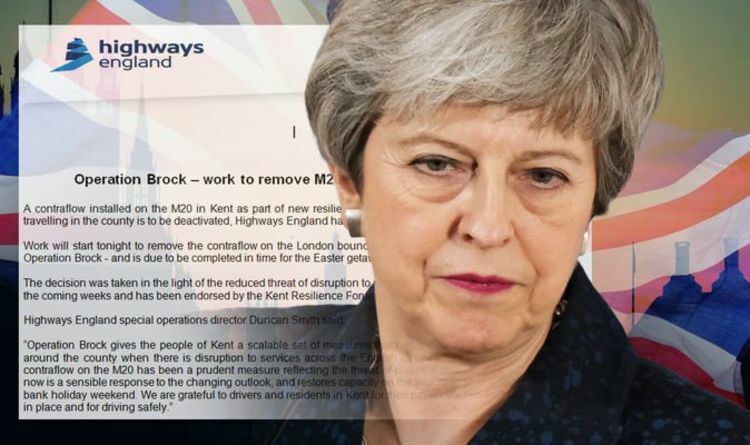 Tonbridge and Malling MP Tom Tugendhat told KentOnline: "I have spoken to the roads minister who said Operation Brock would be delayed and hopefully will never now be needed because of the agreement. "It is good news for our community." Ashford MP Damian Green said: “If we are definitely not leaving at the end of this week then I see no reason to continue with Operation Brock and I hope it can be lifted as soon as possible."